Brazilian mining giant Vale announced communities in the southeastern state of Minas Gerais have been ordered to evacuate after independent auditors found one of its dams could collapse at any moment. Residents within a 6-mile perimeter of the dam had already been told to leave by state authorities in February after Vale raised risk levels to grade two, a company spokesperson told the Associated Press. The spokesperson, who asked not to be identified, said 442 people had been relocated to temporary housing or with family members since February. Lt. Col. Flavio Godinho, of the state’s civil defense department, told reporters that authorities are studying the Barao de Cocais structure to review the existing contingency plan. “Any activity at the dam could trigger a rupture,” Godinho said on Globo TV. The news comes nearly two months after another Vale-operated dam in the nearby city of Brumadinho collapsed, unleashing a wave of toxic mud that contaminated rivers and killed about 300 people. The contamination of rivers with mining waste, or tailings, which contain high levels of iron-ore and other metals is of great concern and can last for years or even decades, experts say. Brazilian environmental group SOS Mata Atlantica said it had proof of water contamination in the large Sao Francisco river as a result of the Brumadinho dam collapse. Hundreds of municipalities and larger cities such as Petrolina, 870 miles from Brumadinho, get drinking water from the Sao Francisco. Brazil’s National Water Agency, which is carrying out its own water tests, denied further contamination of the Sao Francisco river, according to Globo’s news portal G1. The type of structure used to hold back mining waste in Brumadinho was the same as the one currently in use in Barao de Cocais, which lies about 93 miles away. 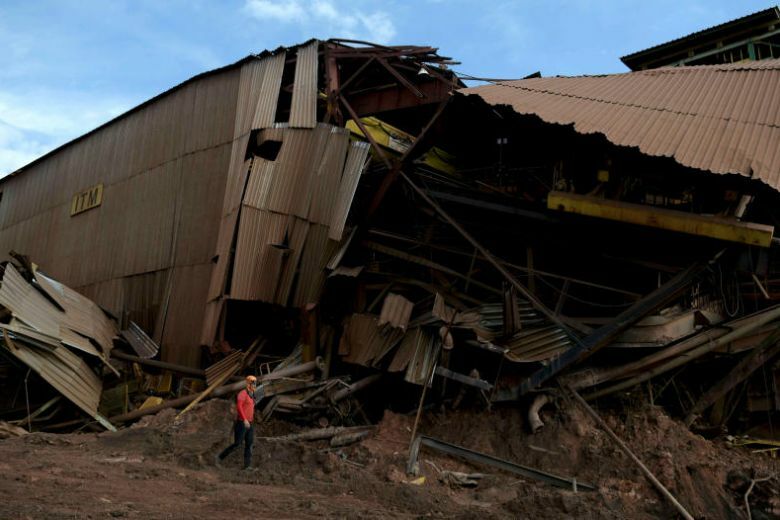 First responders are reporting ‘various deaths’ and at least 200 missing from a tailings dam break at Vale SA’s Feijão Mine in Brumadinho, located in the state of Minas Gerais, Brazil. In addition to consuming the Vale’s entire property, the toxic waste also reached the community of Vila Ferteco. 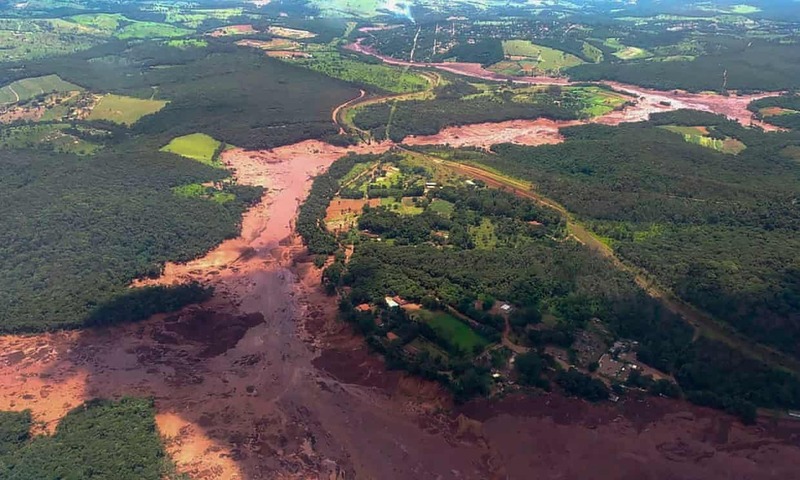 Residents in the southern region of Brumadinho are being evacuated. Harrowing photos and videos show mine waste cutting across roads, consuming homes and farmland. Helicopters and rescue teams have been deployed to the area. According to local activists, numerous complaints have been made about the risk of rupture of dams since 2015, and yet an extension for operations at the mine was approved by national environmental authorities in December 2018. 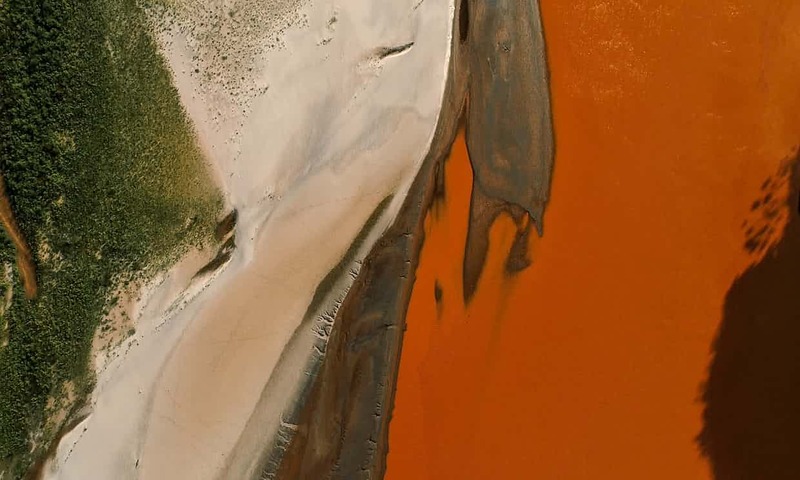 This is Brazil’s second major environmental disaster due to a tailings breach in recent years. In 2015, two tailings dams at the Germano iron ore mine, co-owned by Vale SA and Anglo-Australian BHP Billiton, failed, spilling the equivalent of 25,000 Olympic swimming pools and killing nineteen people. The disaster cut off the drinking water supply for a quarter of a million people in the region and polluted the Rio Doce watershed, killing fish and wildlife. Since the spill, Vale’s stock price has nosedived. 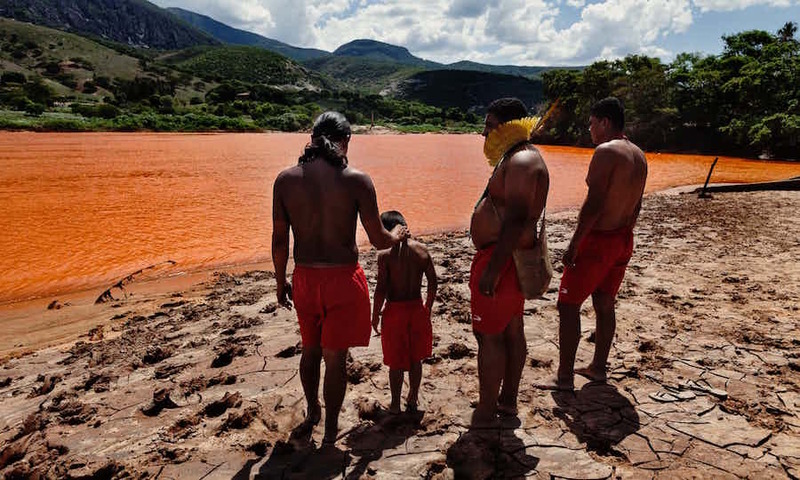 As many as 200 people are missing after three dams operated by the mining giant Vale collapsed in the Brazilian state of Minas Gerais, releasing a wave of red mining waste and prompting fears of widespread contamination. At least 50 people died in the disaster on Friday, Avimar de Melo, mayor of the nearby town of Brumadinho told the Hoje em Dia newspaper. “We don’t have any more details because it’s all happening very quickly,” he said. Brazilian television showed images of survivors being winched to safety by a helicopter after the disaster at the Feijão mine near Brumadinho, less than two hours from the state capital, Belo Horizonte. Among those missing were 100 mine workers who were having lunch in an administrative area when it was hit by a torrent of sludge and water, said a fire brigade spokesman, Lieutenant Pedro Aihara. “Our main worry now is to quickly find out where the missing people are,” Aihara said on GloboNews cable television channel. Videos shared on social media showed houses buried in the mud and local media reported that the nearby Inhotim outdoor art complex had been evacuated though not affected. 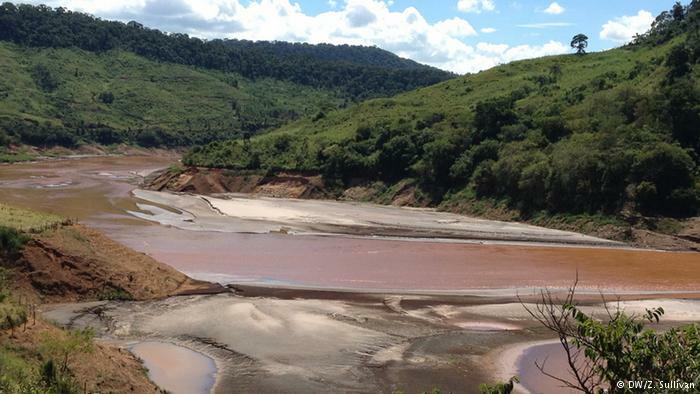 The dam collapse came less than four years after Brazil’s worst environmental disaster was caused by the failure of a tailings dam at Mariana in the same state. That dam was operated by Samarco, which at the time of the disaster was half-owned by Vale. “I don’t have words to describe my suffering, my enormous sadness, my disappointment in what has just happened. It is beyond anything you can imagine,” Vale’s CEO, Fabio Schvartsman, said in an address on YouTube. He said the company had made an “enormous effort” to make its tailings dams safe after the Mariana disaster. “The whole of Vale will do whatever is possible to help the people affected,” he said. Fire brigades and the Minas Gerais civil defence authority were leading rescue efforts, the company said in a statement. “There were employees in the administrative area, which was hit by rejects, indicating the possibility, still unconfirmed, of victims. Part of the community of Vila Ferteco was also hit. There is still no confirmation of the cause of the accident,” it said . 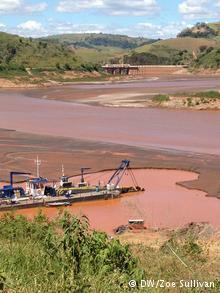 Brazil’s ministry of the environment said it had set up a crisis cabinet after the three dams broke. The environment minister, Ricardo Salles, and Eduardo Bim, head of the ministry’s environment agency Ibama are on their way to the scene. Bolsonaro told reporters in Brasília that he would fly to Minas Gerais on Saturday morning and fly over the region “so we can once again re-evaluate the damage and take all the reasonable measures to minimise the suffering of relatives and possible victims as well as the environmental issue”. Bolsonaro has attacked environment agencies including Ibama for holding up development with what he describes as excessive licensing requirements and advocated freeing up mining in protected indigenous reserves. Environmentalists said Brazil had failed to learn from the Mariana disaster, in which 375 families lost their homes, and are yet to be rehoused. The three companies which operated the Mariana dam – Samarco, Vale and the Australian mining giant BHP Billiton – spent more than $1bn on a huge clean-up and relief operation and paid millions of dollars in fines over the disaster. But no individual has been convicted. Six months before a dam containing millions of litres of mining waste collapsed, killing 19 people in Brazil’s worst environmental disaster, the company operating the mine accurately predicted the potential impact of such a disaster in a worst-case risk assessment. 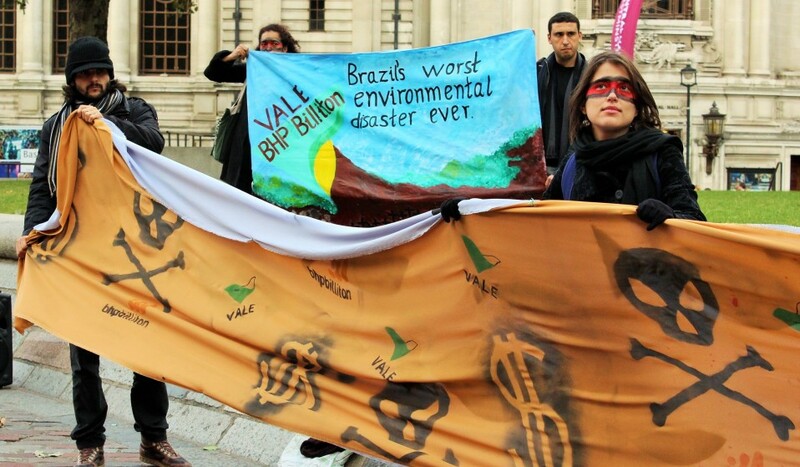 But federal prosecutors claim the company – a joint venture between the Brazilian mining giant Vale and the Anglo-Australian multinational BHP Billiton – failed to take actions that they say could have prevented the disaster. The prosecutors instead claim the company focused on cutting costs and increasing production. “They prioritized profits and left safety in second place,” said José Adércio Sampaio, coordinator of a taskforce of federal prosecutors, summarising the criminal case against the joint venture and its parent companies. 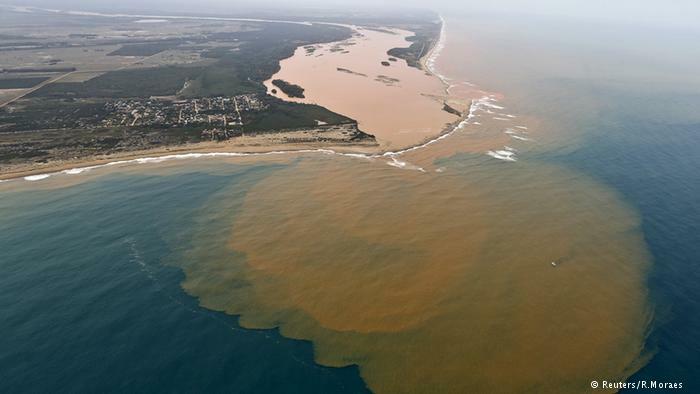 When the Fundão tailings dam failed on 5 November 2015, it unleashed about 40m litres of water and sediment from iron ore extraction in a wave that polluted the water supply for hundreds of thousands of people, decimated wildlife and spewed a rust-red plume of mud down the Doce river. Yet more than two years later, nobody has accepted responsibility. Previously unreported internal documents from the joint venture Samarco show that six months before the collapse, the company carried out a worst-case assessment of the dam, near Mariana in Minas Gerais state. The document – one of hundreds submitted to the court by prosecutors – warned that a maximum possible loss from a “liquification break” could mean up to 20 deaths, cause serious impacts to land, water resources and biodiversity over 20 years, and cost $3.4bn. The prosecutors’ complaint also includes harrowing accounts by survivors from Bento Rodrigues, a small community obliterated by the mud released in the disaster. Wesley Izabel managed to save his two-year-old son, Nicolas, but his daughter, Emanuelle, 5, slipped from his fingers to her death. When the mud engulfed her house, Darcy Santos heard her grandson Thiago, 7, cry “help me, Jesus!” before he was suffocated. In 2016, 21 people were charged with qualified homicide, including Samarco’s former CEO and representatives from Vale and BHP Billiton on its board of directors. All the defendants and three companies were also charged with environmental damage. A separate civil action by prosecutors seeking $48bn in damages was launched in 2016 and is still being negotiated. In January last year, prosecutors and the three companies signed a preliminary deal worth $680m to guarantee recuperation work. In statements to the Guardian, Samarco, Vale and BHP Billiton said they rejected the charges, that safety had been and remained a priority and that the dam complied with Brazilian legislation. The companies have separately said they would defend their employees and executives. Separately from the civil action, the three companies made a deal with the federal and state governments in March 2016 to carry out repair, restoration and reconstruction programmes. They have spent more than $1bn on a huge clean-up and relief operation, separate from civil actions launched by prosecutors. Samarco has also paid about $6.7m in fines levied separately by the state government of Minas Gerais – but none of the 24 fines totalling $105m imposed by the Brazilian government’s environment agency, Ibama. “Samarco believes there are technical and juridical aspects in the decisions that need to be re-evaluated,” the company said in a statement. None of the 375 families who lost their homes have yet been rehoused. “It is a lot of injustice,” said Sandra Quintão, 45, whose small restaurant in Bento Rodrigues was swallowed by the mud. Until the disaster, Samarco was a Brazilian success story. In 2014, despite falling international iron prices, it declared a net profit of $1.3bn. But prosecutors allege that its directors encouraged the company to keep cutting costs. The importance of safety was also stressed at board meetings. At a meeting in August 2012, the board praised Samarco’s safety performance and said the company should “maintain its focus on eliminating fatal risks”. Prosecutors say that the Fundão tailings dam, one of several huge earthworks built to store iron ore mining waste, had always been problematic. “The dam had been giving problems year after year,” claimed Sampaio, the prosecutor. Almost as soon as it started operating in 2008, the dam presented problems with its drainage system and signs of erosion, according to photographs and inspection reports included in court documents. Samarco lowered the reservoir, changed the drainage system and embarked on a series of remedial works. After the disaster, Samarco, Vale and BHP Billiton commissioned an investigation by the international law firm Cleary Gottlieb Steen & Hamilton (CGSH). Published in August 2016, it found that construction flaws had damaged the dam’s original drainage system and described attempts to correct the problems. The report also pointed to three small seismic shocks in the area about 90 minutes before the dam failed. “This additional movement is likely to have accelerated the failure process that was already well advanced,” it said. The CGSH report did not apportion any blame and Samarco said it would not comment on it. Many of the issues it described are also included in the prosecutors’ complaint. Seepage, saturation and cracking were seen at the dam in 2013, and again in August 2014, the report said. Samarco reinforced the dam with a berm. A month later, Pimenta de Ávila, a consultant who had previously carried out work for Samarco, reported that “static liquefaction could be present”, documents show. He inspected the area in December 2014 and told prosecutors he had informed Samarco the situation “was not under control”. Samarco continued raising the height of the dam. According to the CGSH report, this was done in part to enable the company to correct drainage problems. In separate responses to the Guardian, all three companies denied the prosecutors’ charges. Samarco did not respond to questions on the dam’s problems, its failure and the risk assessment. In a statement, it said prosecutors had “disregarded the defences and testimonies presented during investigations”, which it said “prove that Samarco did not have any previous knowledge of the risk to its structures”. According to minutes included in court documents, Samarco’s board of directors, which included representatives of Vale and BHP Billiton, was briefed several times between 2009 and 2014 on the dam’s construction problems and efforts to fix it. Minutes for all of these meetings – included in court documents – state that representatives from all three companies attended. At the time of the disaster, the Fundão dam was fitted with devices used to measure liquid pressure and water level, but according to the prosecutors’ case, several were either not working, lacked batteries or had been moved to another dam. Samarco declined to comment on this. Samarco said that at the time of the disaster, sirens were not legally required. The court case, which is being heard in the town of Ponte Nova, is in its preliminary stage and the judge is yet to decide whether it will be heard by a jury. It was suspended in July after the former Samarco CEO Ricardo Vescovi and another defendant complained that wiretaps were recorded outside of the investigation period, and that the inclusion as evidence of corporate emails and chats invaded their privacy. The case resumed in November, after the judge decided that corporate emails and chats could not be included and ruled to separate out the cases involving foreign defendants. Samarco and its owners are keen to return to production. In December, Samarco was given preliminary licences by the Minas Gerais state government’s environment agency for a new reject storage system at the plant. President Michel Temer’s business-friendly government wants to increase mining, even in sensitive areas like the Amazon, and make environmental licensing more flexible. Demanding accountability: Having done it once in Papua New Guinea how could ‘World Class’ BHP allow the same thing to happen in Brazil? Brazilians affected by the fatal Samarco dam disaster in 2015 share their stories of lives destroyed and present community demands for reparations to mining corporation BHP Billiton’s London AGM. When the Fundao dam collapsed in Brazil’s Minas Gerais region in November last year, nobody could predict how disastrous its effects would be. 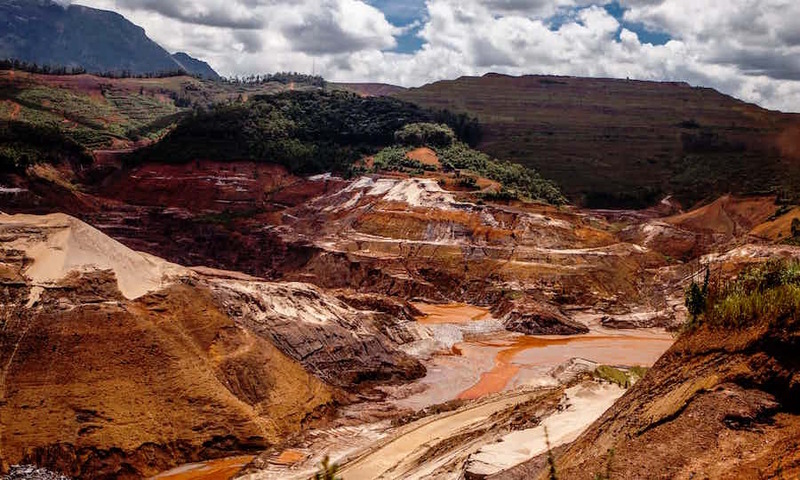 As a tidal wave of sludgy mining waste from the Samarco mining operation swept through the region, it devastated all that sat in its path, killing fish and aquatic life the length of the River Doce, until it hit the sea more than 600km away. At least 19 people were killed, 700 left homeless, and vast swathes of agricultural land and river polluted. In June 2016, a Brazilian federal police investigation concluded the company knew the dam was at risk, was not properly monitored, and recommended charging against eight people. A year after the disaster, the local community is still asking for answers from Samarco – a joint venture between the largest mining corporation in the world, BHP Billiton, and the Brazilian firm Vale. 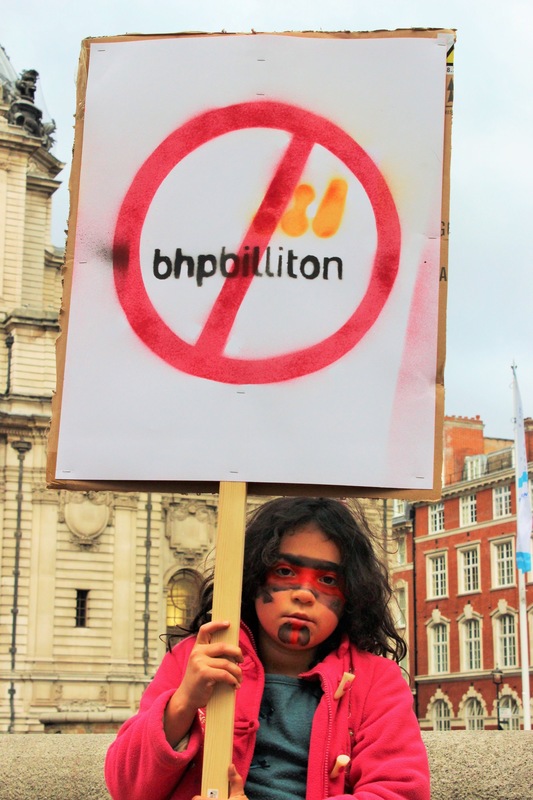 Brazilians affected by the disaster arrived in London today to demand accountability from BHP Billiton at their Annual General Meeting, asking for communities to be given a real say in the reconstruction efforts. “After the dam broke, we were forced out of our house by the wave of mud. Luckily, a friend from Mariana (the nearby city) had called to warn us what was coming, otherwise nobody in the village would have know. The noise was incredible. The mud was knocking down tress, bridges and houses. “We were absolutely terrified. I had to grab my parents from their house across the street and carry my three-year-old son, who had pneumonia at the time. By the time I got everyone together, the mud was already at my front door so we had to take the back door to escape to higher ground. “We spent the first night at a neighbour’s house, higher up the mountainside. The next day, at dawn, we woke up to the horror of seeing everything destroyed and covered by mud. My son was shocked didn’t stop crying, seeing everything he had ever known covered by mud. He was really afraid and spent a lot of time fearing that something like that would happen again. “Our social movement has been working with people affected by dams in the area for a while, mainly the huge Belo Horizonte project, but were also active in the area of the Samarco disaster before it occurred. “The morning after the disaster we were in Mariana, the main city in the affected region, to have meetings and coordinate relief for people’s immediate needs. In the aftermath, they needed housing, clothes and wanted to know what was going happen to the people affected. “You can’t imagine the destruction. The tidal wave of mud was 18 metres high and carried up to 40m cubic meters of mining waste through the region, destroying all the flora and fauna. Maria and others were 70km away and they couldn’t understand how it could affect them, but the mud arrived at their homes in just four hours. Just imagine the speed. “Rural people were taken to the cities, housed in gyms at first, then put into hotels after a few days, before the local attorney said company had to rent properties for them. These are people who have spent their whole lives in the countryside and are now forced to live in the cities, so there’s huge psychological distress that continues to this day. “The criteria for who is and who isn’t affected by the disaster, and who deserves support, came from the company itself. So, you perpetrate a disaster and now you’re the ones who are going to decide who was affected by it? The affected person has to prove that they have lost income or their home, for example, and the form is long and confusing. The process recognises those who own property, but the people who were working in the area are struggling to get compensation. Last year’s failure of the Fundão dam released a torrent of sludge that washed away villages. Brazilian federal prosecutors filed homicide charges Thursday against 21 people in connection with a catastrophic collapse of a mining dam last year that killed 19 people. Those charged include current and former top executives of mining giants Vale SA and BHP Billiton Ltd. and their joint venture, Samarco Mineração SA. Among them are former Samarco Chief Executive Ricardo Vescovi, Vale’s current iron-ore director Peter Poppinga, and eight Vale and BHP representatives at Samarco. The charges mark the end of a nearly year long criminal investigation into the Nov. 5, 2015, failure of Samarco’s Fundão tailings dam in southeast Brazil. Believed to be the biggest disaster of its kind anywhere, the incident released a torrent of sludge that washed away villages, displaced hundreds of people and traveled more than 400 miles through southeast Brazil’s Rio Doce basin before reaching the Atlantic Ocean. Almost a year later, the river is still tainted a rusty red from sediment, its washed-out banks visible from the cruising altitude of commercial airliners. Additional charges against the 21 individuals include the crimes of causing a flood, landslide and grave bodily harm. Vale, BHP and Samarco were also charged with 12 different kinds of environmental crimes. Employees of a consulting firm that performed periodic checkups on Fundão were charged with presenting false stability reports. “Safety was always a priority in the management strategy of Samarco, which reiterates that it never reduced investments in this area,” the company added. The individual defendants couldn’t be reached. If convicted of “qualified homicide,” the individuals could face sentences of between 12 and 30 years in prison, prosecutors said, adding that Brazil has extradition agreements with most or all of the countries from which the suspects hail. Potential penalties for Vale, BHP and Samarco range from payment of fines and funding of charitable programs to partial or total suspension of their activities. Prosecutors added that they requested damage payments for the victims, the amount of which remains to be determined. A judge must accept the charges for a trial, which would take place before a jury, to begin. In a report released in August, the companies presented a report on the factors that contributed to Fundão’s failure. All three firms have apologized for the disaster and committed to a full remediation of the damage. 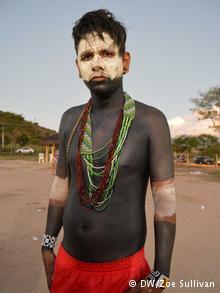 But Brazilian courts rejected a March settlement signed by the companies and the government. Prosecutors are seeking to replace it with a civil lawsuit filed in May in which they sought 155 billion reais ($49 billion) in damages and compared the Samarco disaster to BP’s Deepwater Horizon oil spill in the Gulf of Mexico. The prosecutors’ case hinges what they say is evidence that Samarco and its shareholders were aware of chronic structural problems at Fundão dating back to April 2009. They say Samarco’s board—made up of Vale and BHP officials—was informed of flaws in the dam but responded by pressuring the company to extract more iron ore.
Samarco’s board was also allegedly informed of the likely consequences of a dam failure, prosecutors said. Company risk managers allegedly had estimated as recently as 2015, according to prosecutors, that a collapse of Fundão could kill 20 people, stop Samarco’s operations for two years and deal a substantial blow to the mining companies’ reputations. 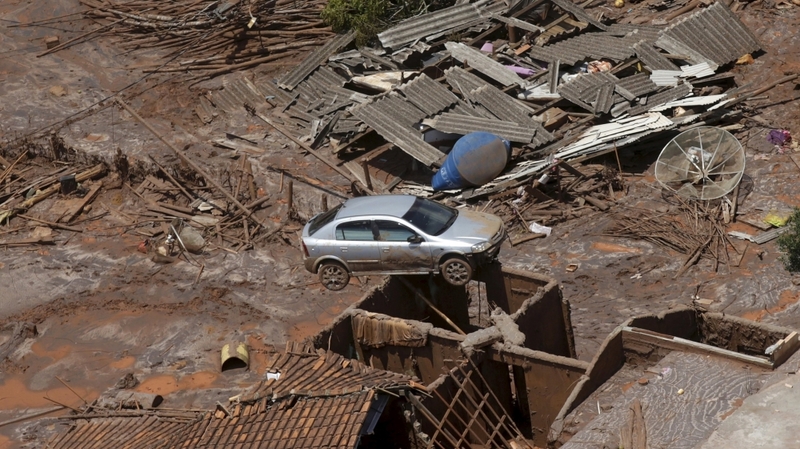 Surviving residents of the devastated community of Bento Rodrigues reported after the accident that they received no official warning from Samarco in the crucial minutes after the dam gave way. 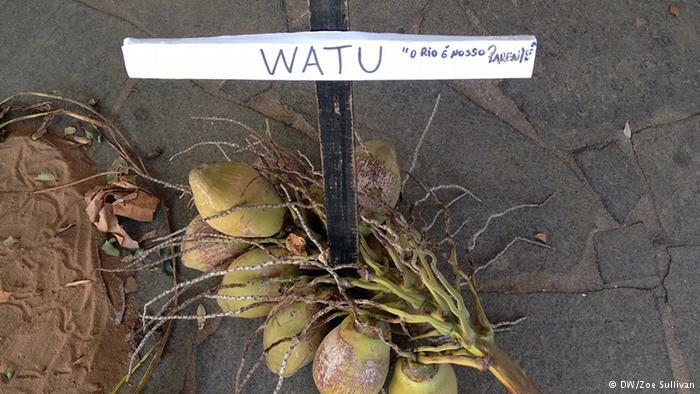 Is Brazil’s worst environmental disaster a warning for the Sepik? In southeastern Brazil the 1.6 million people living along the Doce River are still struggling not only with health risks, but also with a crisis of public confidence. Is this what could happen to the Sepik river if the Frieda mine goes ahead? Da Silva Santos didn’t come back. Her decision to drive away ended up being fateful, as she survived the collapse of the dam by getting in a car; 19 other people were not so lucky. Reports show that although Brazilian mining company Samarco, the dam’s owner, knew about a leak at the impoundment 10 hours earlier, there had been no warning siren. According to the United Nations, 50 million tons of iron ore and toxic waste were dumped into the river that day. The sludge covered riverbanks and cropland along the entire length of the 853-kilometer (530-mile) river, killing fish and other wildlife, and contaminating the drinking water supply for much of the river valley. Toxic sludge reached the Atlantic some two-and-a-half weeks later. 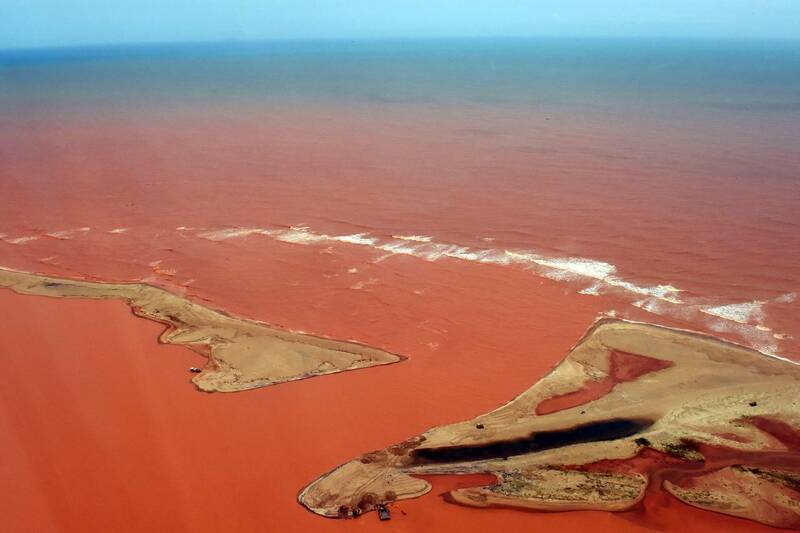 It’s considered the worst environmental disaster in Brazil’s history. Did the mining companies act irresponsibly? The mining industry accounts for more than $1.4 billion (1.23 billion euros) in the city of Mariana, where the disaster occurred. According to a report by Brazilian daily “Folha de São Paolo,” Samarco was attempting to quintuple the size of the Fundão waste reservoir by connecting two different tailing dams when the collapse happened. Samarco is a joint venture of Vale and BHP Billiton, two of the world’s largest mining companies. Brazil’s Globo television network revealed that the company’s sensors had detected possible danger of collapse in 2014 and 2015 before the actual failure – although the company said the dam had passed inspection in July. Critics say that due to a sharp fall in global iron ore prices in 2015, Samarco may have been more focused on expanding its production in order to avoid financial losses – and that emphasis may have overridden basic safety concerns. Zyl noted that a dry-mining waste storage technique used in Chile, where earthquakes are common – although much safer – costs 10 times as much as the tailings dam solution. He also noted that an initial estimate on the cost of recovery from the Fundão collapse done by Deutsche Bank put the figure at more than $1 billion. 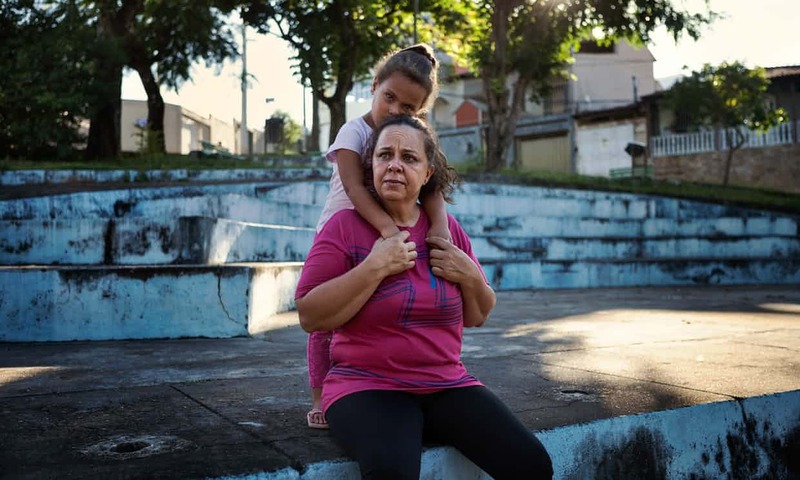 For the indigenous Krenak community, which lives on a hill between a dry streambed and the polluted Rio Doce, the disaster did more than destroy their water supply. The community swam, fished and played in the river. Now its primary food source is gone, as is its place to cool off on hot days – or even obtain drinking water. Water trucks paid for by Samarco have been supplying water to the community since the disaster, but residents complain that this water has high levels of chlorine that irritate the skin and stomach. For Geovany Krenak, the issue goes beyond the physical problems the community is facing and touches on an existential one. “The wars came, the hydroelectric dams came, mining came. All of that, indirectly, is a way of eliminating the people,” he declared. Agencia Publica, a Brazilian investigative news organization, reports that government leniency and corporate impunity are recurring themes in Brazil’s handling of environmental disasters. BHP Billiton and Vale will pay up to $5.1 billion over 15 years in a settlement with the Brazilian government. In June 2016, Brazil’s Environment Ministry fined Samarco an additional $41.6 million for damages to protected areas. However, Brazil’s Supreme Court issued a temporary decision July 1, 2016, suspending the settlement on the grounds that the case should be decided by a lower court in Minas Gerais where the dam broke. Vale and Samarco said they would appeal. But the large fines in this high-profile case are an exception, not the rule. Observers in particular point to regulatory failures in preventing such disasters. Brazil’s slap-on-the-wrist regulatory culture raises the possibility that the country will see more disasters like the Fundão dam collapse as its mining and other industrial infrastructure ages and deteriorates. “Folha de São Paulo” reported that Brazil has 16 mining-related dams that are considered insecure, and that toxic mud continues to leak from the broken Fundão dam, despite a judicial order for Samarco to stop it. For people all along the Rio Doce, these potential threats are taking a back seat to the immediate need to find potable water. The city of Governador Valadares, with a population of roughly 280,000, had no water at all for nearly two weeks following the dam break. Compounding river contamination issues, the area has also suffered drought. André Cordeiro Alves dos Santos, a Federal University of São Carlos researcher, said the rainy season proved insufficient to supply cities and towns of the Rio Doce watershed with adequate water resources. 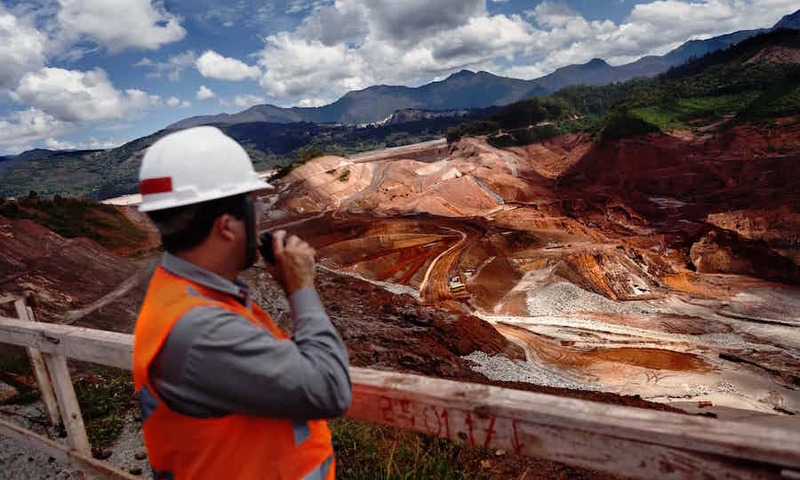 Samarco is sampling and analyzing the Rio Doce water supply for Brazil’s federal environmental authority, which found that iron and manganese levels were both greatly over the allowed limit. Excesses of iron can provoke diarrhea and vomiting, while high doses of manganese affect the central nervous system and can lead to tremors, weakness and impotence.